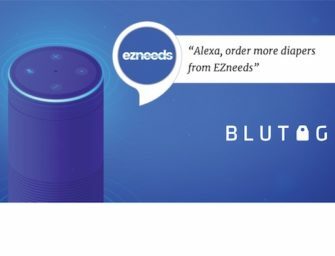 CMO.com recently interviewed Voicebot Founder Bret Kinsella after his presentation on the state the Voice AI industry at the Alexa..
Amazon is serious about dominating the smart home market. Yesterday the company announced it will acquire mesh home router company.. This week Amazon made a few key updates to the Alexa Developer Console to make it easier for developers to.. Audio Analytic and Frontier Technologies demonstrated a “smarter” smart speaker at this year’s CES. The device combines Frontier Smart Technologies’..
KFC is the first fast food restaurant in India to enable ordering through its branded Alexa skill the company announced..
ShadeCraft launched the BLOOM parasol automation device at CES 2019 which also serves as an outdoor speaker. The device’s motor.. Premium audio device manufacturer Klipsch debuted two new sound bars at CES this year in addition to showing its new..
Thinner. Bigger. 8K UHD resolution. LG, Samsung and TCL all presented new television models with these improved specifications at their..